It came in a little metal bucket that has no drainage holes. There is no plastic insert inside the pot. The watering directions say to water 1/4 cup every 12 to 15 days. The watering directions on this site and many others say to pour water around the plant and let it drain out. Obviously, I can't do that with a plant in a container with no holes. I am wondering if I should repot it in a... The false need for a drain hole is a major myth that wastes the energy that was used to grow the plants in the greenhouse and than truck them to your local store. There is nothing green or socially responsible about that. It is a dodo practice. For most ceramic pots, one hole is enough for effective drainage. However, you could also add small pebbles or broken glass to your flower pot base as this will add an extra level of drainage. However, you could also add small pebbles or broken glass to your flower pot base as this will add an extra level of drainage. Any pot used to grow herbs indoors needs to have adequate drainage holes. Herbs do not like to be kept in standing water, so there needs to be a way for the water to drain out of the pot. 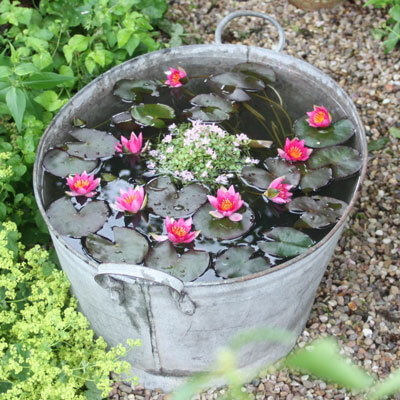 Herbs do not like to be kept in standing water, so there needs to be a way for the water to drain out of the pot. But the key point to remember: gravel in the bottom of a pot with holes does absolutely no good in ensuring good drainage. That's because water naturally flows toward finer material, not away from it, so the large air spaces between the pieces of gravel don't "pull" the water into them. Decorative plastic flower pots that are sold commercially may have a solid bottom with no drainage system. Drainage holes are needed in new or recycled plant pots to protect the root systems and health of the flowering plants. I give it a good soak so that the water runs out of the bottom of the pot. (For plants without drainage holes, I don't soak. I give more of a "sip.") I see a lot of people killing their succulents by overwatering. You can avoid this by making sure the soil is totally dry between waterings.